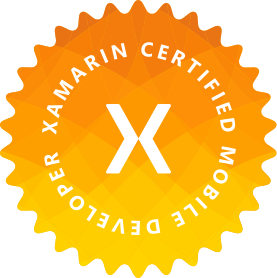 To follow the posts made for iOS, let’s talk about reading the device contacts in Xamarin.Android. Since Xamarin hasn’t been working on the Xamarin.Mobile component for a while, and James Montemagno dropped support for his Contacts Plugin, if you want to access the contact APIs on each platform, you might just have to go at it yourself – or just copy this code! Now we need to create our service to enable the reading of the contacts on the device. We’ll call it the ContactService. In this method, we get access to the Context‘s ContentResolver and query for all contacts’ phone numbers. We can then iterate over each phone number and read their name and number which is added to the master list of PhoneContacts. This list is what ends up being returned, and we close the query context we opened in the using statement. Now that we have access to all the contacts on the device, we can render those in a list through either an Android ListView, RecyclerView, or if in Xamarin.Forms – a Xamarin.Forms.ListView. Try building some other fun features into your ContactsService or selector! Next Next post: HackMIT This Weekend!